Fill in your details below and we will let you know within 24 hours if we can get Quixo Mini to you with haste! 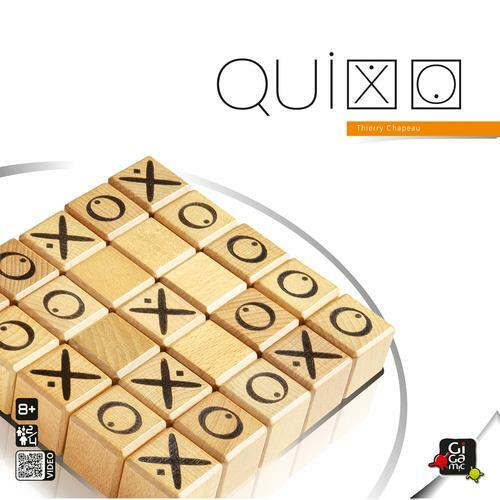 Quixo is a simple but not simplistic game, whose rules can be learned in just thirty seconds. Anyone can play! Line up 5 cubes in a row, pushing your lines of cubes horizontally or vertically. This is one of the few strategic games that can be played by 2 or 4 players (in teams). Quixo has been recognized as one of the best games in both France and North America. Quixo Mini provides the same great experience as regular Quixo in a size that is easier to pack for travel.